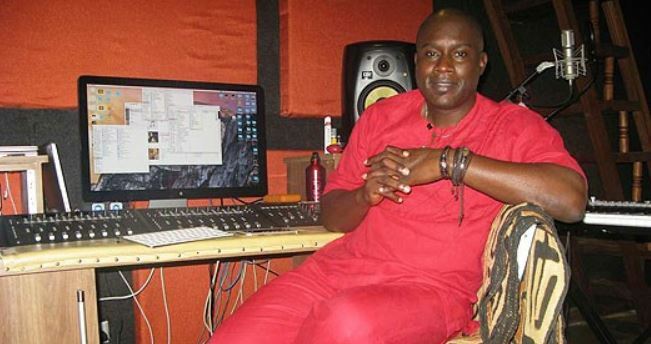 Kenyan music producer Tedd Josiah is one of the most celebrated hitmakers in the region. He started as a musician, first briefly with the group Ebony Affair before forming a new group, Hart in 1993. The group was disbanded in 1995 and Josiah joined Sync Sound Studios as a producer. But that is just a tip of the iceberg in Tedd Josiah’s illustrious career. In an interview with the Play House YouTube Channel, he recalled his musical journey. “I fell in love with music when I was very young. My dad bought me a record player so I got to listen to music a lot. I spent a lot of time creating and listening to music. That’s where my passion started,” he said. After living with his grandmother in Nakuru during his early childhood, Josiah moved to Chicago where he grew up. “When I moved to the United States, I just knew Kikuyu, Luo and broken Kiswahili. I knew no English, but with time I picked up,” Tedd said. He later joined high school back in Kenya, where he studied at two different institutions before completing his studies and joining the church. “I started doing background vocals more and lead vocals. Then I realised that they were making mistakes in the arrangement, and in the digital space there are different things happening, and we start putting the music together like this and do this with the intro and stuff. And I didn’t know that what was happening was that I was becoming a producer,” he said. When he was 18, Tedd mixed his first album and continued to perfect his art in his 20s before joining Sync Sound Studios in 1995. From then on, Tedd got down to serious work, and the rest is history.